Acer today launched Acer C720 Chromebook line, Showcased earlier at Intels Developer Forum in India. These Chromebooks are powered by 1.4 GHz Celeron processors based on Intel’s haswell architecture which energy efficient and will help battery backup last for about 8.5 Hours. 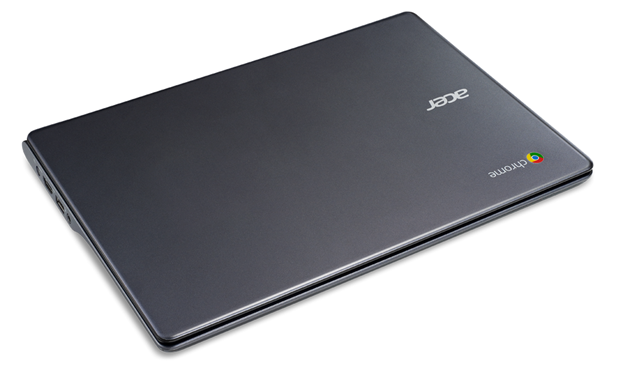 Acer’s Chromebook is quite Sleek at 0.75 Inches and weighs 1.25 Kg. The 11.6 Inch display has 1366×768 pixels and an anti glare coating for better outside visibility. The Device comes with USB 3.0 and USB 2.0 connectivity. Other connectivity options include 802.11a/b/g/n WiFi and HDMI port. The webcam is capable of HD recording and Dual speaker design will give you good quality audio. Powered by an Intel Celeron 2955U processor, which is supported by 2GB of DDR3 RAM, it can boot up in less than 7 seconds. The battery backup as mentioned above is quite impressive at 8.5 hours. The Chrome O.S. is designed to work for those with high speed Internet, something which is not very common in India. It uses Linux kernel and most applications are on the Web rather than on your PC. If you have access to high speed internet you can get conventional laptop functionality. With basic skills you can install, Linux Operating system Ubuntu on this machine and switch between the two with ease. Chrome O.S. has multilayered security feature to protect you against malware and viruses. You will also get 100 GB of free storage on Google Drive for two years. Schools will appreciate that the Acer C720 Chromebooks have a Kensington lock to secure them to a classroom or mobile cart. 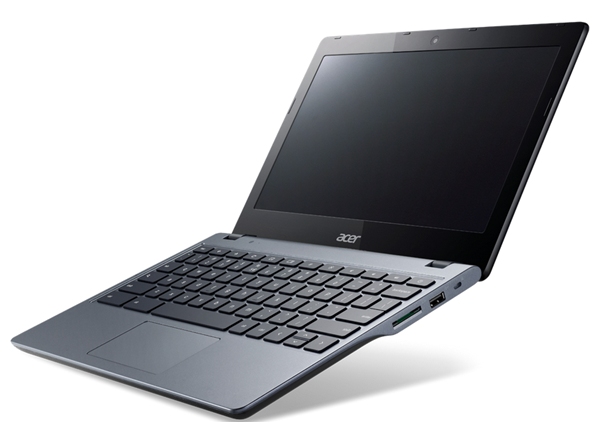 You can buy Acer C720 via Flipkart or at Croma and Reliance Digital stores in Mumbai and Delhi, for a price of Rs. 22,999 starting from October 17th. You can also avail Easy Financing schemes from Bajaj Finance at nominal processing fee. Acer is offering 2 years warranty on this product. Its chrome OS by google.